The Hawaiian islands are a great destination for adventure! You can do anything from a lazy day at a pristine beach to a crazy night in a busy international city. I’ve had the wonderful opportunity to have visited the islands many times over my lifetime. I lived there for three years and created many adventures on land, sea and in the air but I’ll keep this on the ground, toned down and target just one single fishing opportunity. For those of you that have not been to Hawaii, I will review the islands and give a little history of the trout there and what to expect. 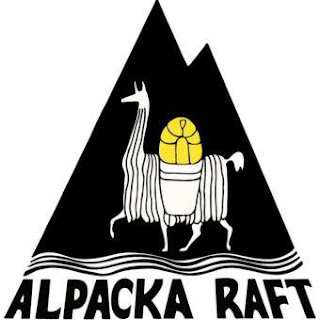 The research for this adventure and my story was created using the tools of a modern traveling trout fisherman, the Internet, local knowledge, guide books and satellite mapping. I wrote the research and preparation on my iPad before the trip and kept a written diary during my experience and edited the story in the evenings after it happened. The Hawaiian islands were originally inhabited by Polynesian sailors and voyagers in 300 to 800 A.D. the islands were later visited by the British explorer Capt. James Cook in 1778. In 1893, a group of American sugar cane planters overthrew the ruling Hawaiian monarchy. Soon after, the US marines came to protect the plantations from retaliation. The Hawaiian Islands became the 50th state in the United States of America in 1959. The state of Hawaii is comprised of 8 islands that make up the group collectively known as Hawaii. There is the big island of Hawaii which is aptly named because of its size, Maui, O’ahu, which is where the famous North Shore of surfing is and Honolulu on the South shore which is the capital of Hawaii , Kahoolawe, Lanai, Molokai, Kauai and Nihau together make up the state. The islands of Hawaii are the most remote islands in the world. Located in the middle of the Pacific Ocean, 2,390 miles from California and 3,850 miles from Japan, the Hawaiian islands are the furthest from any landmass. Consequently, the Hawaiian chain of islands are 1,523 miles long making them the longest chain of islands. Kauai, the subject island of this story is among the rainiest places on the earth with more than 450 inches annually each year for the last 100 years. The highest point is on the big island of Hawaii, Mauna Kea at 13,796’ with the lowest point being at sea level along the coast lines. There is a commercial rainbow trout farm on Maui and a fisheries hatchery on Oahu that serves for stocking Hawaii’s public fishing lakes. 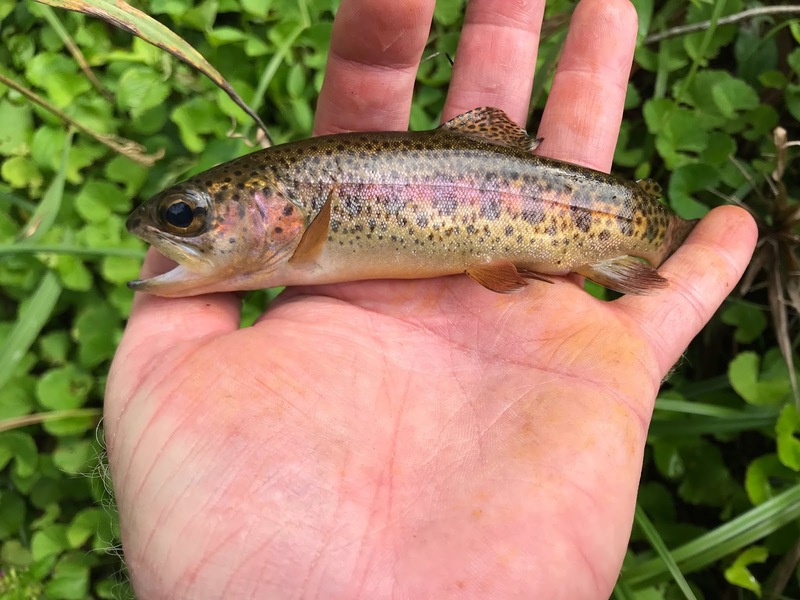 I have heard from local fly fishers that there is a wild trout stream on the big island that takes a couple of hours hike to get to. Perhaps a target for later trips but for now, we will stay on track with the wild trout on Kauai. This trip was a year in the making and I have had help from fishermen that wrote about their experiences in Kauai online. Three had been there and have caught wild trout. One of those people have been instrumental in the logistics of my trip and the other two have simply helped with their experience. Another angler passed on maps and notes about hiking in the area. If you are serious about catching the wild trout in Kauai, you will run upon at least a couple of people who have previously written about their own adventures. Out of the few angler/authors that I contacted, most have been enthusiastic about sharing their knowledge. I will join them and add to the knowledge base however, you will have to put the pieces together to build your own picture of adventure. As with all of my travel, I put together a minimal pack list for fishing the mountain streams. 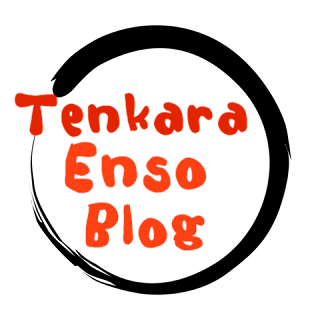 I am a tenkara fisher that enjoys the effective minimalism in tenkara. The equipment of this simple method of Japanese fly fishing can be succinctly described as “rod, line and fly.” Japanese tenkara is a form of fixed line mountain stream fishing for trout and what I’ll be doing in Kauai fits the description perfectly. 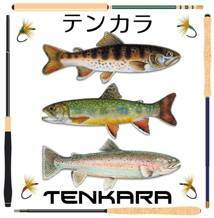 I have quite a bit of travel experience using a tenkara fishing kit that is easy to pack inside of a small backpack. 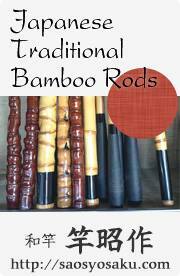 The rod is telescoping and the line is fixed to the end of the rod and it is lightweight yet easy to pin point cast. 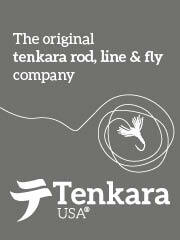 Tenkara is perfect for travel and I have pared down my kit from experience and use a tiny fishing bag that holds a little fly box, three card spools of different lines and a nipper as well as a Derf needle driver (forcep) for removing deeply swallowed flys. My flight is direct into Lihue from Phoenix and I will be renting a economy car to get to the area where there is trout. I found a beach hostel in Lihue for about $30 per night. I only need a shower and facilities in the morning before I drive to fishing and back in the evening to clean up so this cheap and efficient alternative was a welcome find. My fishing trip is before our family vacation so I have two full days to drive the hour and a half to the trail head and hike a couple of miles to get to my target. Having spent lots of time in the jungles of the islands, I know what to expect. I create a pack list and follow it closely. I will be catching up with my family on the big island after the Kauai leg of my vacation so there is more to my pack list than pure mountain stream fishing. The freshwater fishing regulations for Kauai require a license. This can be purchased online and if you are camping in the area at one of the few remote campsites, you will need a permit. I could have just camped but the logistics of my vacation did not support taking my camping kit. The cheap economy rental car will get me close enough to the streams and I can park and hike the rest of the way. If I am successful in catching the trout on day one, I can use day two for exploring the island. I’m equipped for hiking and snorkeling too and there is a lot to do in Kauai. I enjoy the “plan your work and work your plan” method for my adventures. This helps me stay focused on my goal with room to make dynamic decisions based on the conditions of travel. The target area is rainy so I chose a lightweight rain jacket and a rain skirt for my kit. I also use a compact daypack and keep my things in a dry bag. The area of trout is epic for hiking and photography so it is my intent to catch a few trout in a couple of the streams and move on. I want to sample fishing in the streams, enjoy Kauai, and move on to the family portion of our vacation. I flew straight into Lihue. Its a six hour direct flight from Phoenix. I arrived at the airport, shuttled to the rental car, found the hostel and then a place to get a refreshment. There is a Kauai location of my favorite restaurant close by, I’m having a drink in paradise before I turn in. I’ve gone from extremely hot and dry climate to nice and misty rain, it’s time to relax and unwind, I’m on vacation and it’s just getting started. I set the alarm early, 5a. Sunrise is 6 and it took about an hour and a half to get to the area up the canyon. I stopped at a lookout for a photo and finished out the drive. It was clear, sun out and clouds in the canyons on the lee sides. My notes were impeccable but I still made a major mistake. The TOPO did not distinguish a power line trail from a road and ten minutes into my 2+ mile hike and I’m in dense jungle and soaked from mist and dew. Mother Hawaii is making me work for it. I persevered and drop into the dirt and mud road that I was supposed to be driving on. I had my GPS on the phone and it took me an hour plus to get to my destination. The pack comes off, I rig and rest. The stream is choked with a thorn berry plant, sticky sharp wiry vine type tanglefoot and slick mud slopes, volcanic rocks here and there but I can see the trout in the coffee colored stained water. I thread a cast and drift a half second and STRIKE! On my first cast! But I miss him, and several others. I know I’m going to catch fish but when? I try to move along the stream but I’m tired and tense. I finally catch one, then two, falling into the rhythm of a tenkara angler.. I catch about a half dozen trout in this section. It is pretty straight forward catching trout in Kauai. The guidance is there, clues here and there but you won’t get the cake from me. You have to cook it up yourself from your own recipe. The people that helped me will help you just like I am helping you here. I’m back on the beach now, finally on vacation. Research, make a plan and execute it. See what you have but be careful, you could make a huge problem for yourself just bushwhacking in the jungle. Make sure you know what you are doing and more importantly, draw limits for yourself and stay within them. Thanks! After all, I studied it just right. I’ll be back to fish here again, I now what to do now. And just like David, I enjoy reading, watching your trip too. Take care. Ah thanks Michael. I was nervous, I put too much pressure on myself for this but it all came together and now I know what to do next time. For now, I am researching the trout of the San Pedro Matir in Baja Mexico. I have that and I’m looking at Horseshoe Meadows. I’ve always wanted to hang glide there but now I’ll go to fish.